You see a map that shows territory of Finland. actual map of Luumaki 1 cm to 1 km displayed. free map of Ylamaa calibrated download for free. 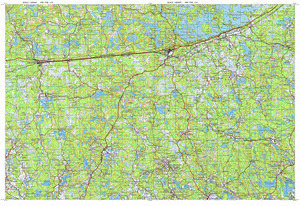 free map of Ylijarvi 1 cm to 1 km for Garmin. topographic map of Yla-Jaaski download for free. detailed map of Virokoski calibrated for gps. interesting map of Vilkjarvi 1 cm to 1 km here. topographic map of Venalainen for Garmin. free map of Valkonen for gps. map of Valkiajarvi with gps calibration for gps. topographic map of Vakeva 1 cm to 1 km for Garmin. actual map of Vaha-Uski with gps calibration download for free. free map of Uus-Heimala with gps calibration displayed. actual map of Uro calibrated presented. interesting map of Turkkola и OziExplorer calibration this. map of Turkia calibrated free download. map of Torola и OziExplorer calibration free download. interesting map of Toikkala for gps.